Lots of people have heard horror stories about the process of replacing their windows. If you are someone who has noticed that the windows in your property are not working the way they should be, you will want to know the truth about these stories. 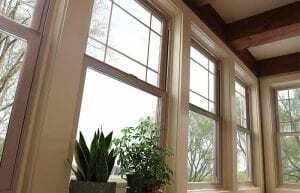 Sunnyvale, CA window replacement companies have tackled and debunked a large number of these myths so that you can make the right choice for your home. 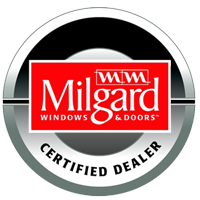 Probably the first myth that you might have heard about replacement windows is that they are not worth the hassle. Many people think that only new windows can solve the problems your home may be having. This is not the case. In most instances, replacement windows and new windows function exactly the same and will give you the same protection and amount of comfort. If that is something that you are concerned about, you can rest easy. Another prevalent myth is that replacing windows in the winter can be a serious mistake. People have heard that your property can get seriously damaged while the installation is going on. This is not true. Professional window replacement companies work quickly and efficiently. They will never allow your property to be open to the elements for too long, especially in the winter. Another benefit that you might get by scheduling the window replacement in the winter is that there are less clients, so they can get the work done quickly. Many people believe that all windows are the same, so it does not matter which brand or style you choose. This can be a mistake. Windows vary in stability and efficiency. Depending on the kind of home you have and the climate in which you live, you will need to carefully consider the options available. It can end up saving you lots of worry to choose the right window option from the start. The most harmful myth is the one that says that attempting a DIY window replacement project is a good idea. It is never a good idea. Windows are expensive and they require careful installation, which is not something that most people know how to do without training. You will also not have the right tools to get the job done, so you might end up spending more than if you hired experts to do the task. Do not put your property in danger by attempting work you do not know how to do. There are many other myths that companies that offer replacement windows in Sunnyvale, CA can tell you about. By doing some research, you can find out the truth about the process and about the purchase of the right windows. Hire experts to get the job done and trust that they will always make you aware of any issues that may arise. Turn to a company like My Window & Door Solutions for help. Visit them at 1510 Oakland Rd., Suite 130 San Jose, CA 95112 or call them directly at (408) 437-6274.